Available for Manatee Memorial Hospital, Lakewood Ranch Medical Center and Sarasota Memorial Hospital. 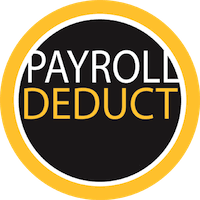 Now you are able to payroll deduct online! 1. You must contact us to be set up with the correct discounts and settings. 1. You may link your account by searching via account phone number AND zip code. If you have shopped online with us and payrolled in store with us before-- THANK YOU!!!! You NOW have the option to select payroll as your payment of choice at check out! 1. Please ensure your employee ID is in the special instructions of the purchase. 2. During step 2 of check out, you will be asked to select to use your payroll and select your number of pay periods. 3. Review your order and select Place Order. 4. With-in 24-48 hours you will be contacted via email to confirm sale as well as request a signature, as this is how the hospitals prefer submission.